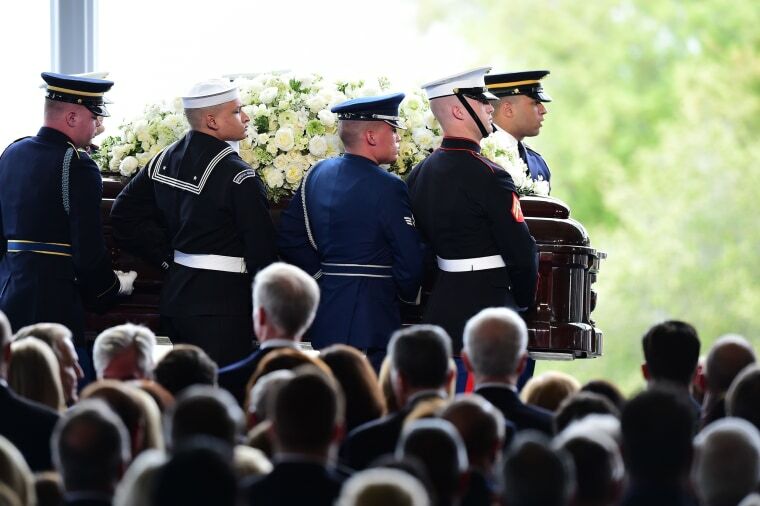 Mourners gather to honor former first lady Nancy Reagan by sharing memories that focused on her strength and her dedication to her husband. 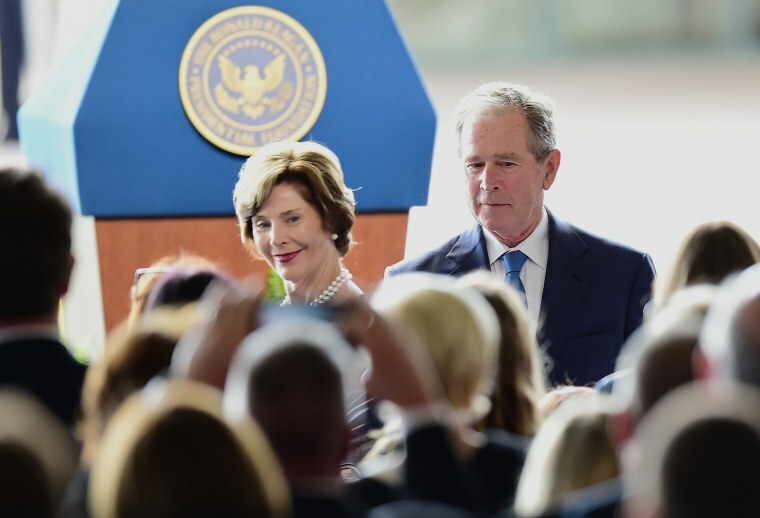 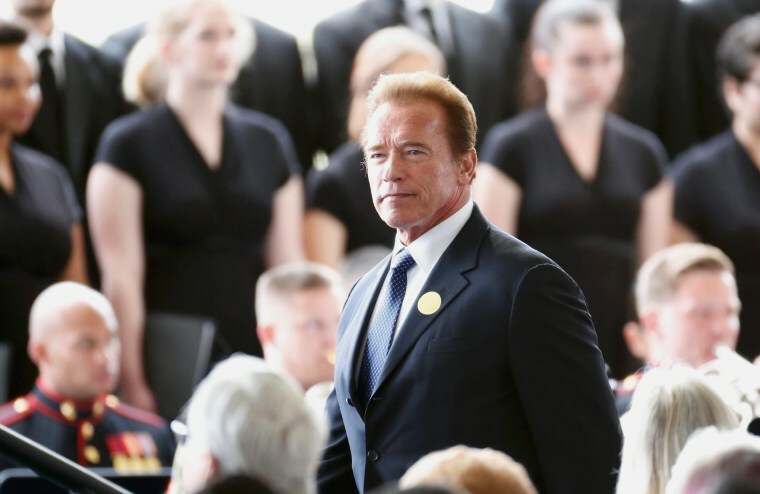 Former first lady Laura Bush and President George W. Bush arrive for the funeral service of Nancy Reagan on March 11, 2016, at the Ronald Reagan Presidential Library in Simi Valley, Calif.
Former California Governor Arnold Schwarzenegger arrives for the funeral of Nancy Reagan at the Ronald Reagan Presidential Library in Simi Valley, Calif.
Actor Tom Selleck arrives for Nancy Reagan's funeral services in Simi Valley, Calif. 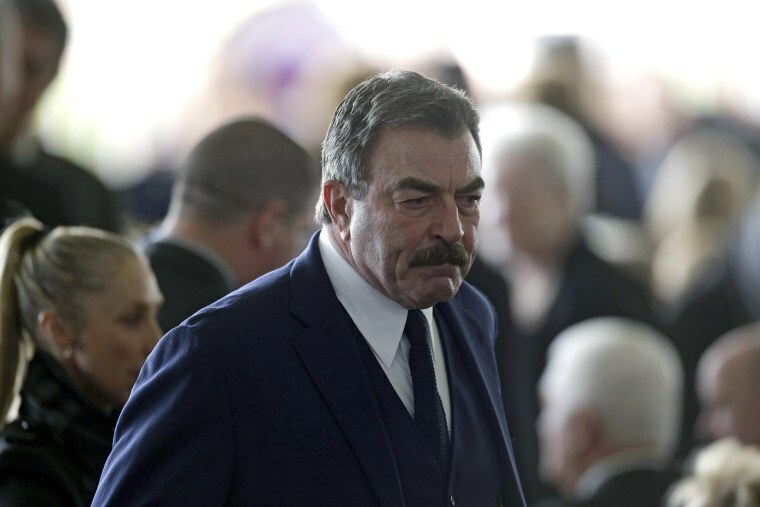 Guards carry Nancy Reagan's casket to her funeral service. 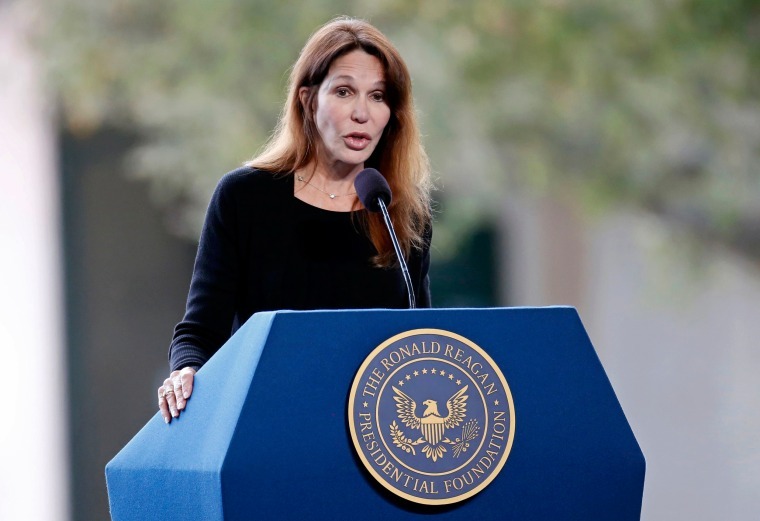 Nancy Reagan's daughter Patti Davis speaks at her mother's funeral. 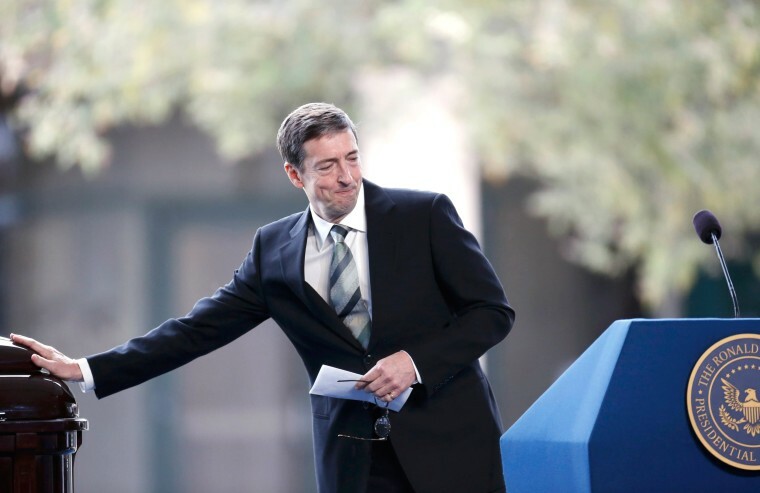 Ronald Prescott Reagan touches his mother's casket before speaking at her funeral at the Ronald Reagan Presidential Library. 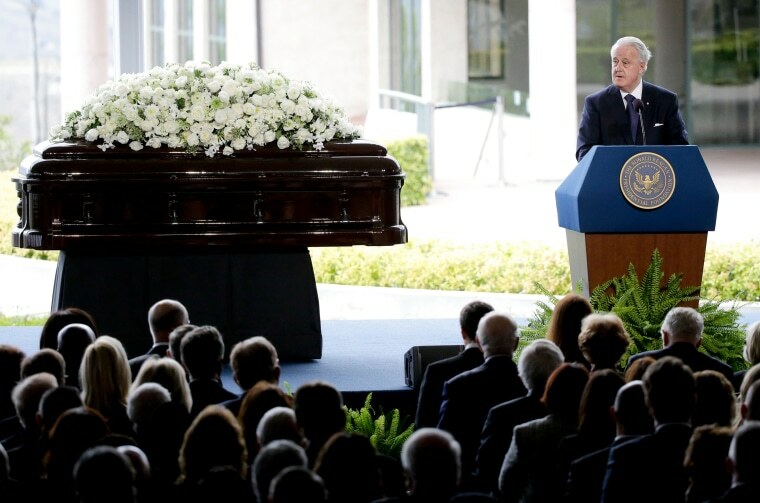 Canada's former Prime Minister Brian Mulroney speaks during Nancy Reagan's funeral service. 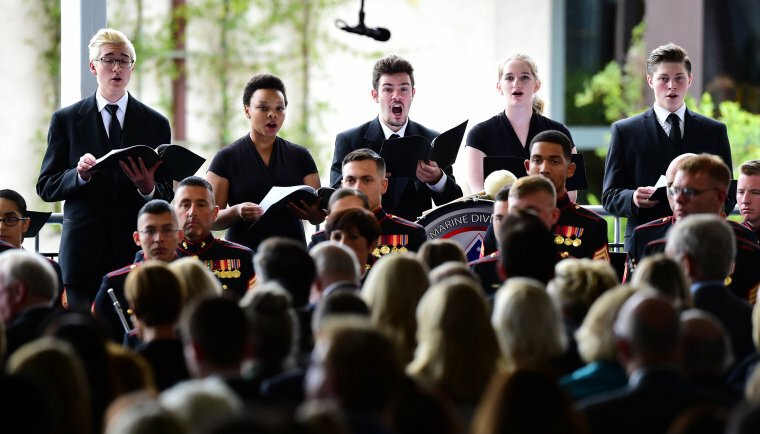 The Santa Susana High School Choir sings during Nancy Reagan's funeral. 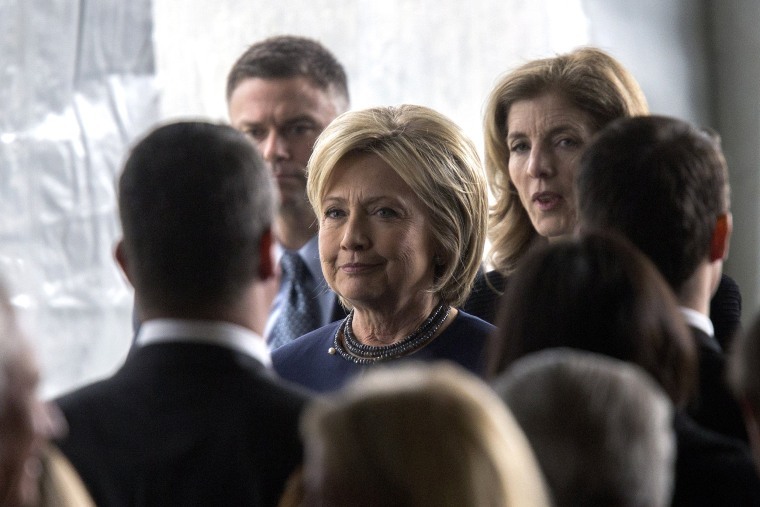 Hillary Clinton follows the casket during funeral and burial services for former first lady Nancy Reagan in Simi Valley, Calif. on March 11, 2016. 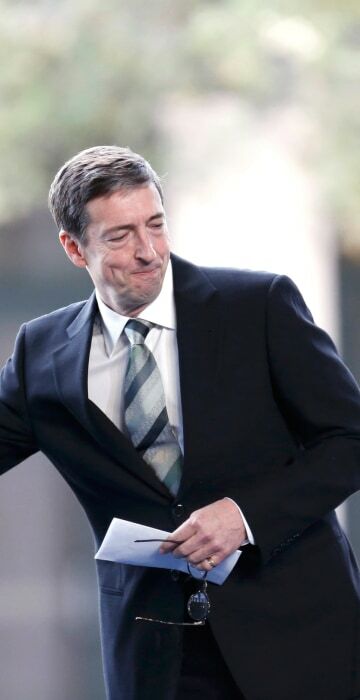 Ron Reagan and his sister Patti Davis pay their respects to their mother Nancy Reagan.